Shop Our NEW Hultquist Jewellery Spring Summer 2016 Collection! Some things are best not left to chance, so why not give your loved one a helping hand this Valentine’s Day by sending them a link to your favourite jewellery from Lizzielane? We’ve put together an exciting collection of jewellery and accessories that are perfect for Valentine’s Day gift – We’ve got something for every special lady in our collection, with lots of romantic and unique gifts from some of our favourite designers such as Danon, Hultquist, Joma, Estella Bartlett, Pilgrim, Hot Tomato, Tutti & Co and Sence Copenhagen. With seriously limited stock on some lines, we’d advise you not to hang around – we’re certain they’re going to go super quick! 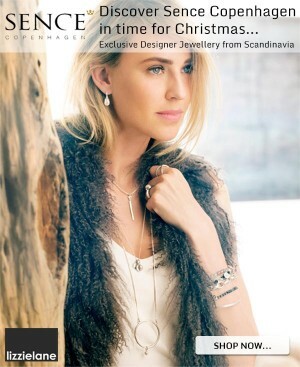 Pilgrim is a global brand with more than three decades of experience in jewellery, with strong roots in Denmark and in Danish design. Every piece of Pilgrim jewellery is hand-crafted by skilled craftsmen, hand painted and assembled. The jewellery is plated with either 925 sterling silver, 16k gold, 16k rose gold or hematite. All Pilgrim jewellery is coated with durable surface treatment to improve resilience. Pilgrim are renowned for their sensational styling and quality of their products – each season brings brand-new and many more exciting designs and pieces to lure us – and it is so difficult to resist! We’re so excited to announce the launch of the exquisite new Hearts and Pearls Collection from Danon Jewellery available now from Lizzielane. Danon Hearts & Pearls jewellery eludes a sense of timeless elegance making each piece easy to wear while creating instant glamour. Whether you’re looking for gorgeous gift ideas or the perfect party accessory the new Hearts & Pearls collection from Danon adds an edge to any outfit, day or night. Our magical Christmas Gift Shop is now open and bursting with the most gorgeous jewellery & gifts for women and girls. Discover stunning gift ideas and fantastic stocking fillers in the fabulous Lizzielane Christmas Gift Shop, so put your feet up and shop – without stress – our beautiful collections of necklaces, bracelets, earrings, rings & scarves from all of our favourite designers including Danon, Estella Bartlett, Hultquist, Joma, Pilgrim, Sence and more! Everybody loves a treat don’t they? This Halloween we’ve got nothing but treats here at Lizzielane. Simply spend £60 or more with us between 25th Oct and midnight 31st Oct and as a thank you we’ll send you this truly stunning Pilgrim Heart Necklace for free! This gorgeous silver plated heart necklace from Pilgrim Jewellery will be your day to night saviour. Wear long as a single chain or short as a double chain necklace with the t-bar fastener at the front. Which ever way you choose to wear it, this heart necklace is seriously sophisticated. Normally £24.99 this best selling Pilgrim necklace is our gift to you when you spend £60 or more on any jewellery or accessories. Scarf season has finally arrived and we can’t wait to show you our gorgeous 2015 Ladies Scarf Collection. Here are just a few of our favourites to keep you warm while looking fabulous with any outfit you choose! 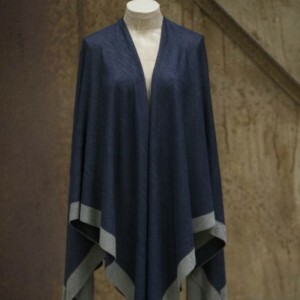 It’s time to wrap up warm in this chic new autumn staple. 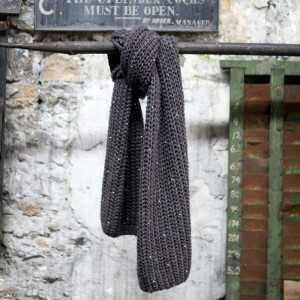 This luxe Tutti and Co Chunky Knit Scarf with Silver Beads is your new throw on and go accessory, keeping you oh so cosy warm, while remaining effortlessly stylish all day long. Need to look chic wherever you are? 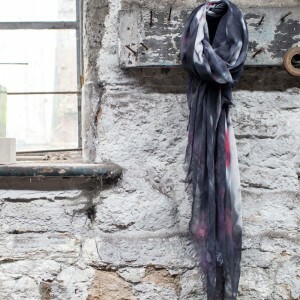 Then this gorgeous new Tutti and Co Soft Hand Painted Grey Scarf will be the new turn-to hero you will never have enough of wearing. 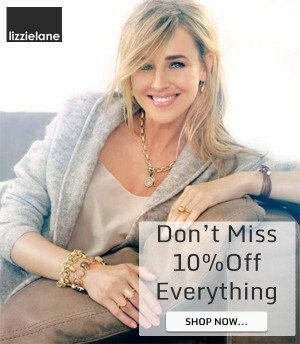 Shop with Lizzielane Jewellery this weekend and when you spend £20 or more on any of our exciting jewellery or accessories, you can use discount code OCT10 to save 10% on your total order, plus we’ll even ship your order for free when you select UK Standard Delivery. To claim your 10% discount, make sure you enter OCT10 where prompted on either the shopping cart page or checkout page. Cannot be used in conjunction with any other offers or discounts. 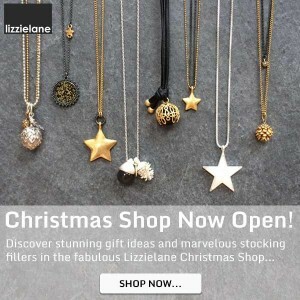 Go Shopping with Lizzielane and win a £50 Gift Voucher! 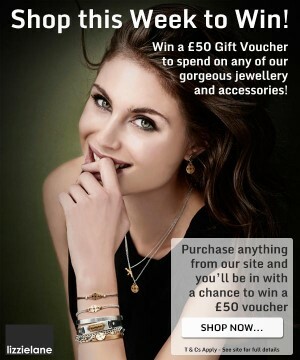 Win a £50 Gift Voucher to spend on any of our gorgeous jewellery and accessories! To be in with a chance of winning all you need to do is purchase anything from our site between Friday 25th Sept 2015 and midnight Thursday 1st Oct and you will receive one entry into our prize draw. For full T & Cs, please see below. By placing an order you will be automatically entered in the Prize Draw and will be deemed to have accepted these T & Cs. If you wish to opt out of the Prize Draw after you have made your purchase, please contact us using our Contact Page. This Prize Draw is operated by Lizzielane Jewellery (lizzielane.com). For our address details, please visit our Contact Page. The Prize Draw runs from 00:00:01 25th Sep 2015 to 23:59:59 1st Oct 2015. To enter our Prize Draw, simply make a purchase during the Prize Draw Period. If you place multiple orders or order multiple items during this period, you will receive the same number of entries as items ordered. One winner will be selected at random using an automated system and will be contacted via the email used to place the order. We will contact the winner on the 2nd Oct 2015. 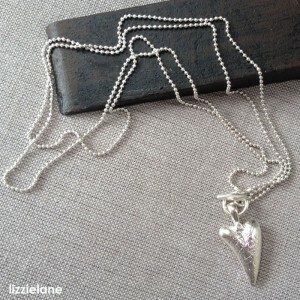 The winner will receive a £50 gift voucher to spend on the Lizzielane.com website. The prize is not transferable and there is no cash alternative. To enter the Prize Draw, you must be 18 or over and a resident of the UK. Northern Ireland residents and lizzielane.com employees and their family are not eligible for entry. Lizzielane.com reserves the right to cancel, modify or supersede the Prize Draw at any time. Any amendments will be published here. Any dispute arising in connection with the Prize Draw or these terms and conditions shall be governed by the laws of England and Wales.